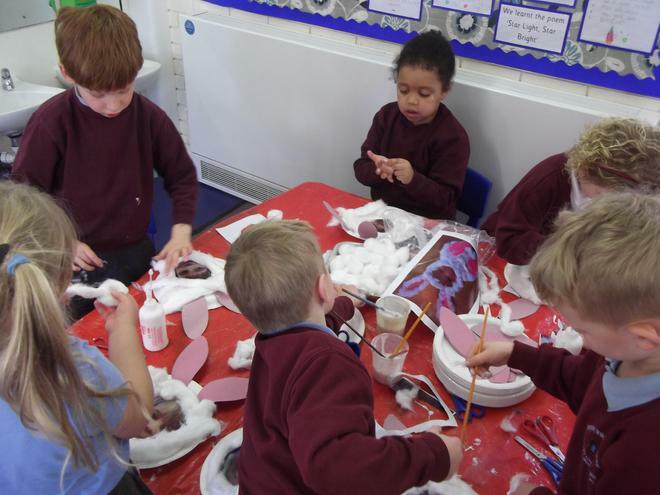 Happy Easter from everyone in Year 1! 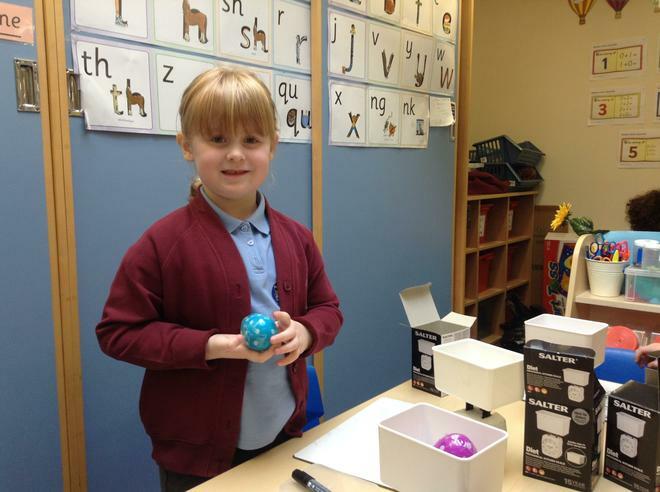 Your child has brought their spellings home this week. 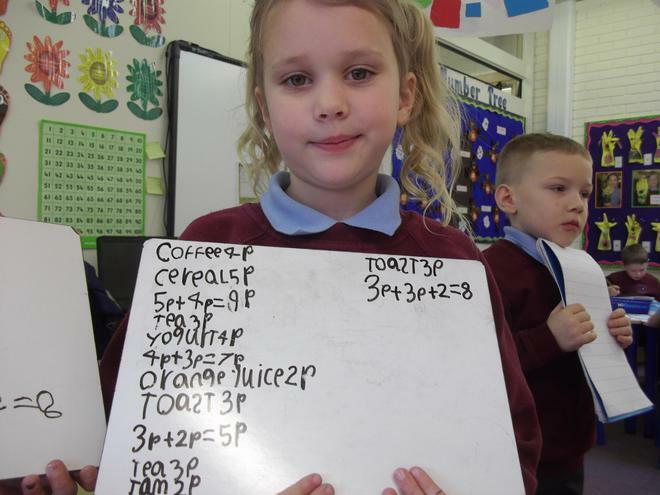 Please practise as your child will have a little spelling test on the 1st Friday back. 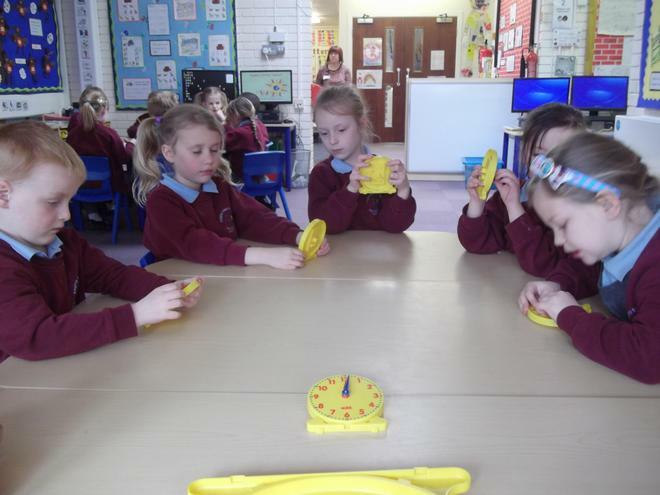 This week in Numeracy we have been learning the days of the week and the months of the year. 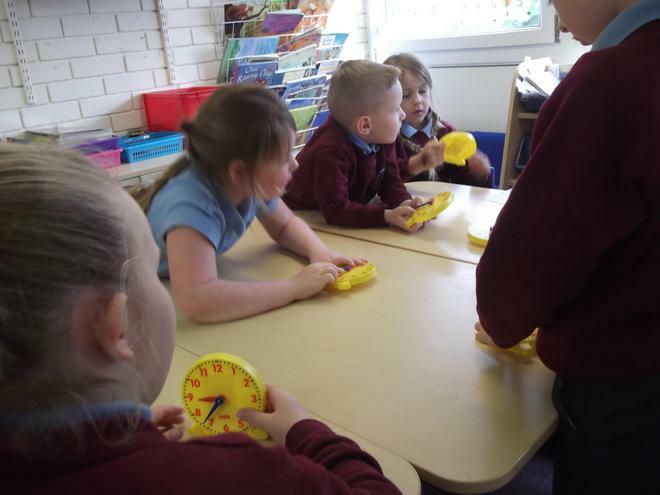 We have been telling the time o'clock and half past. 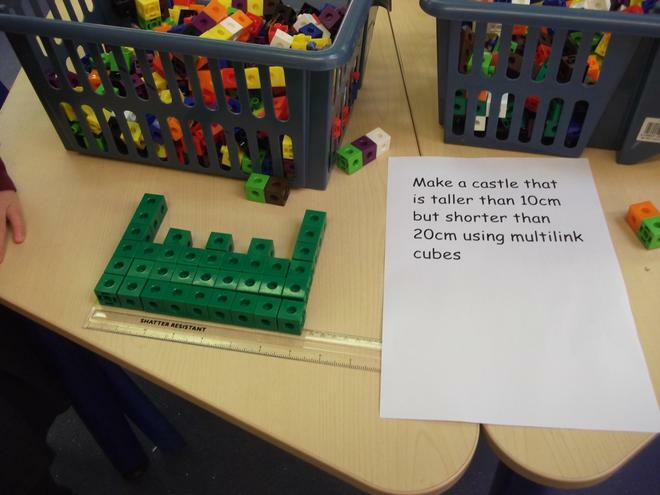 Can we practise this at home? 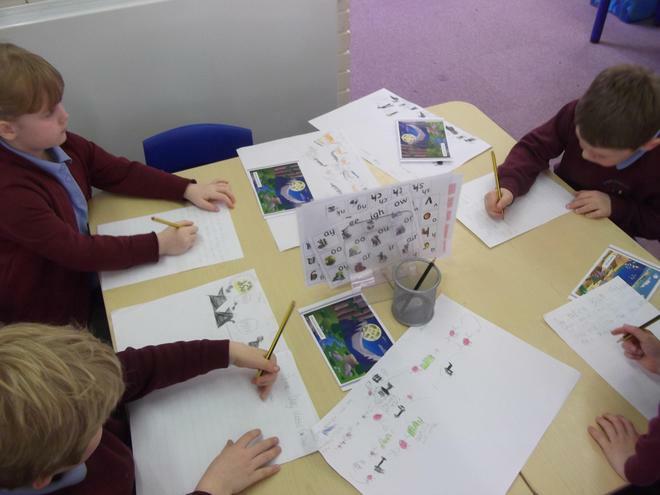 In Literacy we have written our own version of 'Three Billy Goats Gruff'. We changed the characters and the setting. 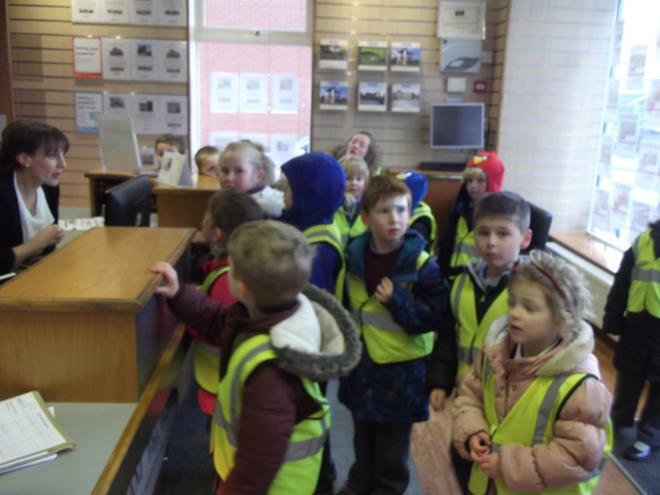 Mrs Marshall was very impressed with our stories. 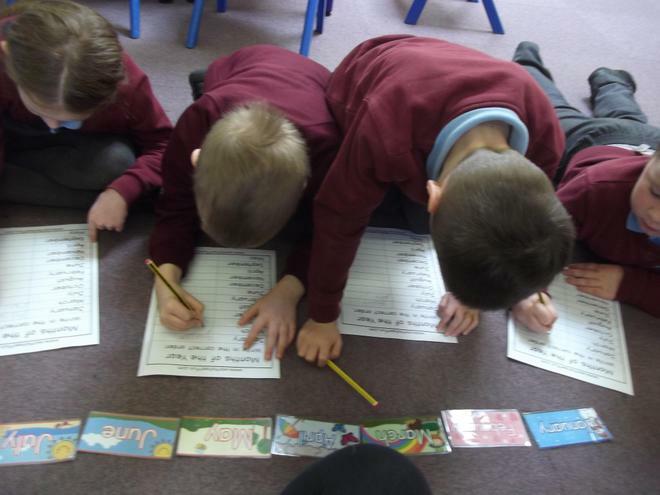 Over the holidays we could read some other stories and write our own version of those stories. 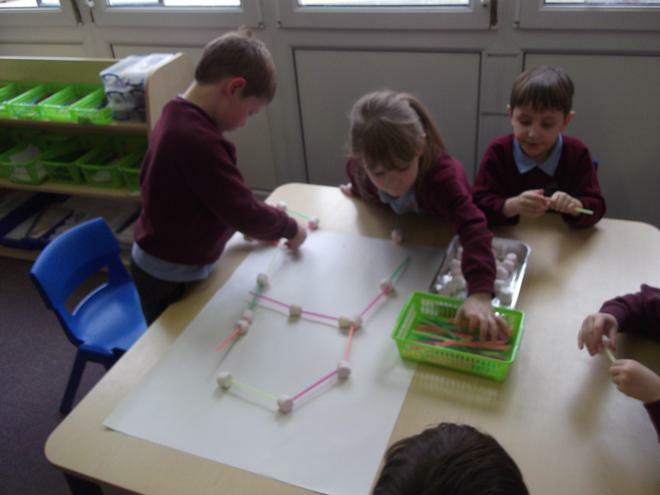 In topic we have been enjoying Easter activities. 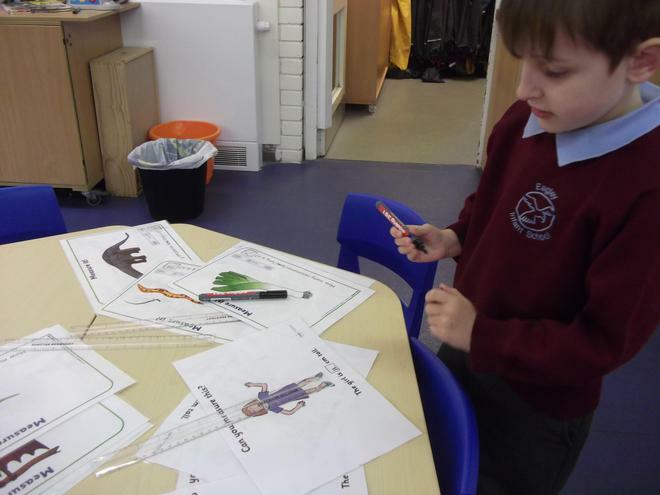 In Literacy this week we have read a different version of Billy Goats Gruff called Billy Dogs Gruff. 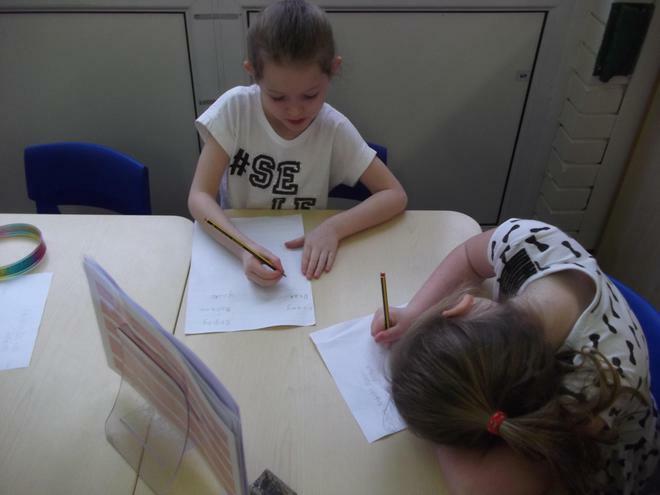 We started to write our own version using a story map. 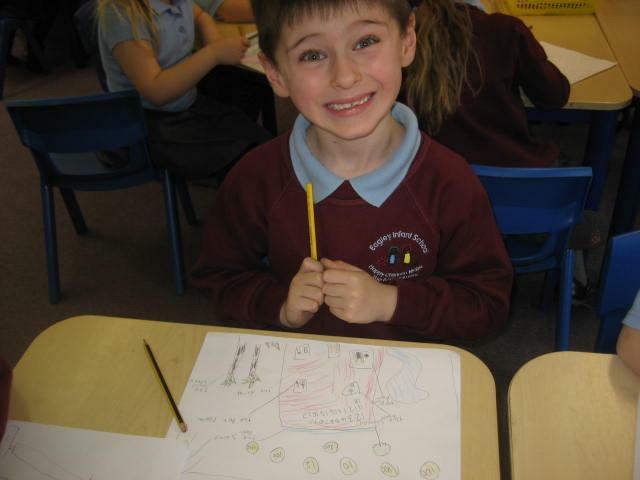 We are looking forward to using our story maps to write our own versions next week. 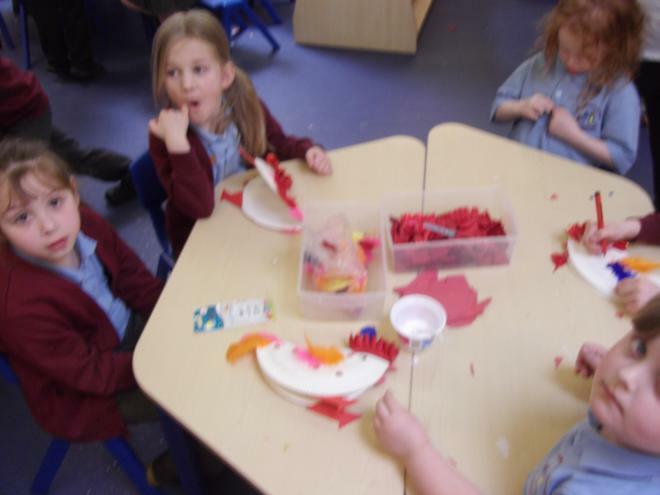 Mrs Marshall is very excited about our stories and she is hoping to put them on the wall. 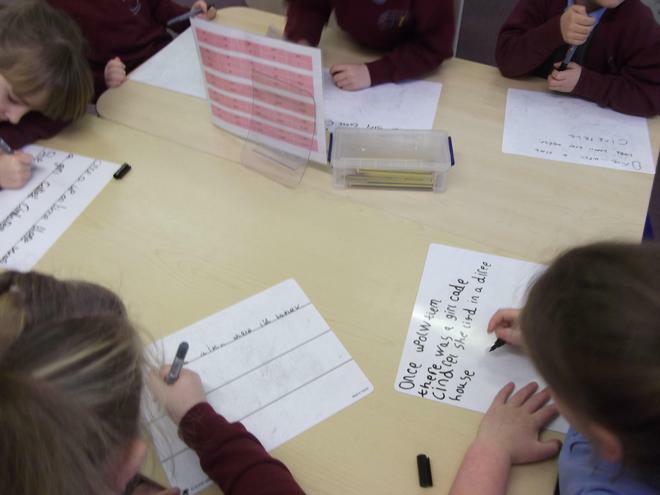 Can we practise writing sentences this weekend ready for next week? 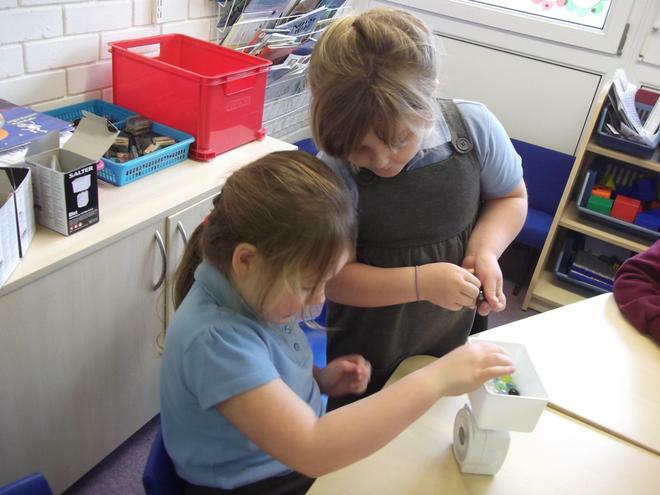 In Numeracy we have been weighing using real kitchen scales. 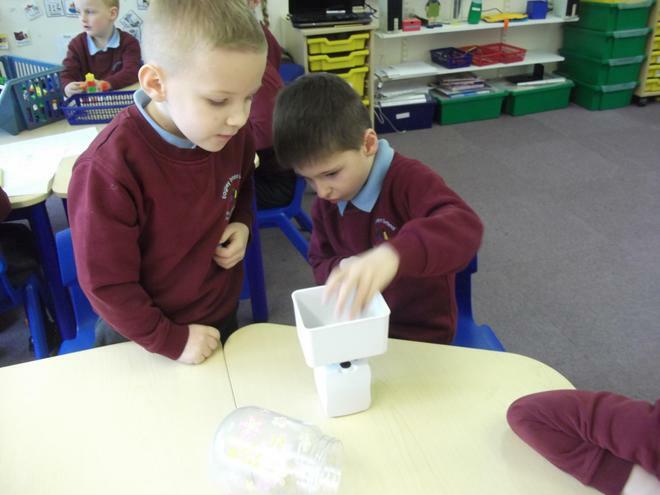 We have been measuring in grams. 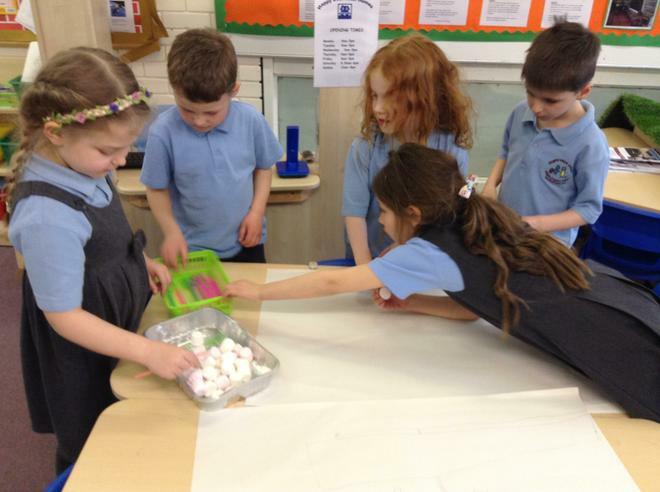 We have been weighing eggs and ordering them from the lightest to the heaviest. 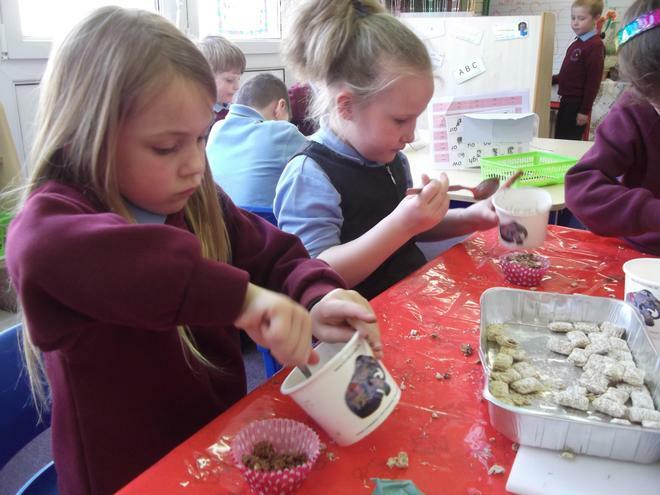 Please can we use your kitchen scales to weigh things at home? 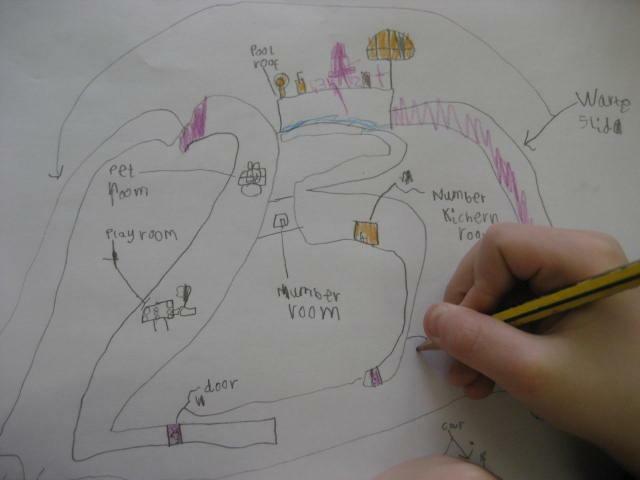 In topic we designed our own fantasy house. 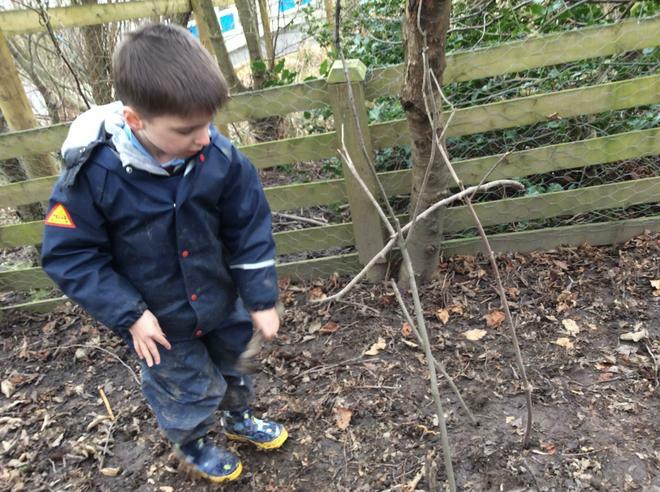 We have been learning about animal homes. 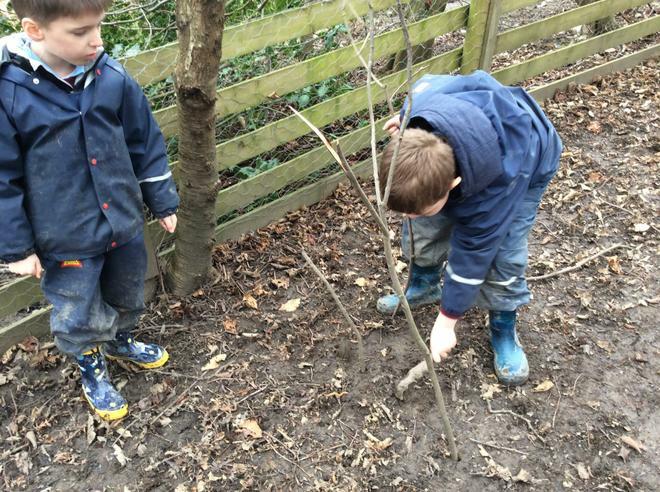 We found out about the different homes animals live in. 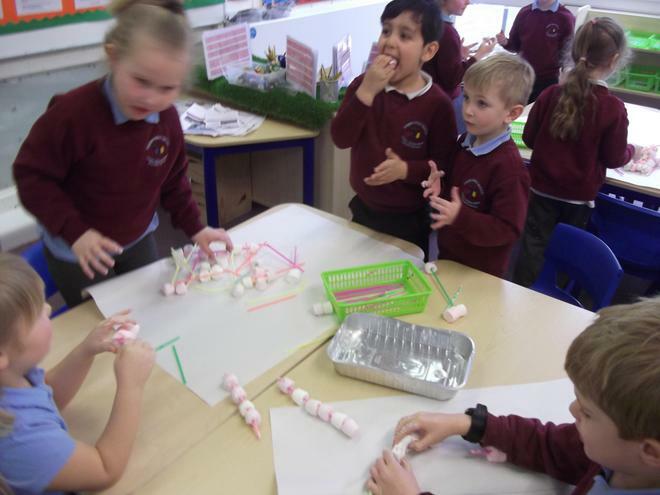 We had a competition using marshmallows and straws. 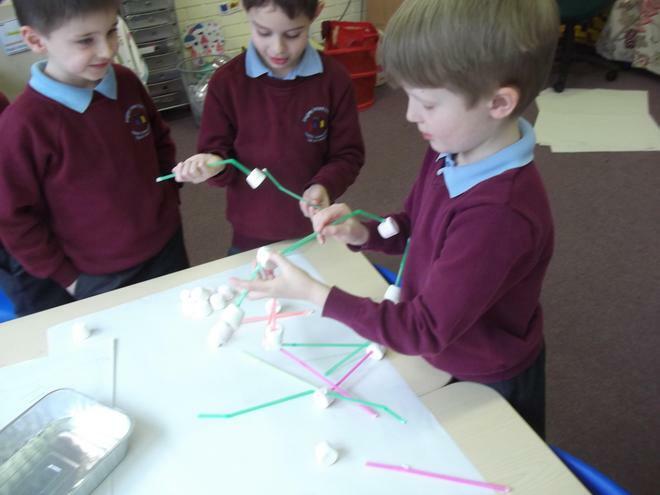 We worked as a team to build the tallest tower. 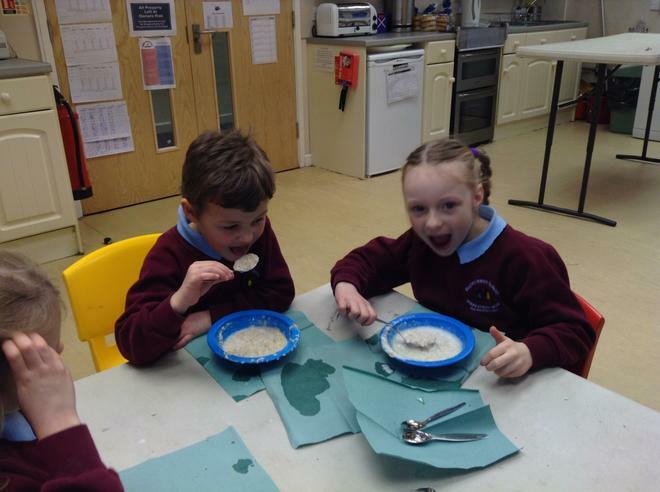 It was a tasty challenge! 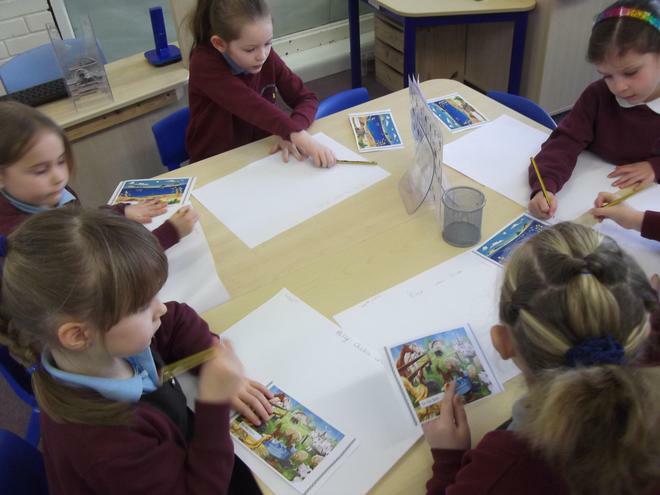 In Literacy this week we have been retelling the story of Snow White. Why don't you read us a story and we can retell it for you. 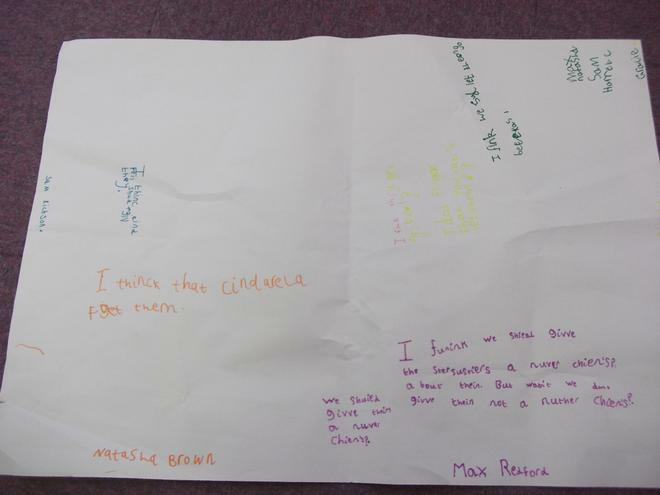 We received letters from fairy tale characters asking for our help. Some of us wrote back to them. 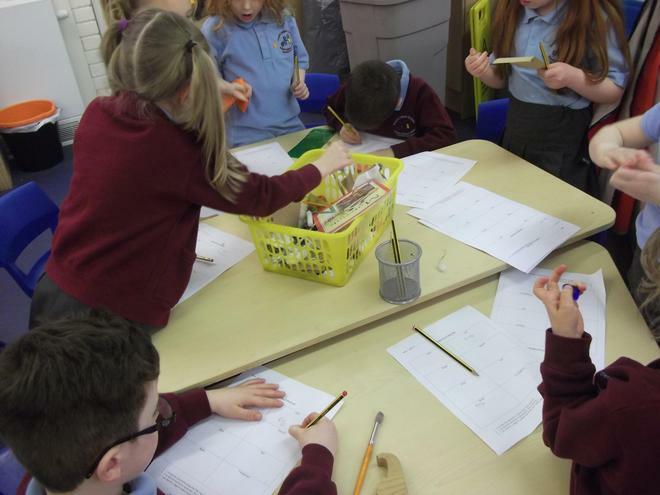 In Numeracy we have been measuring capacity using centilitres and millilitres. Please can we practise this at home. 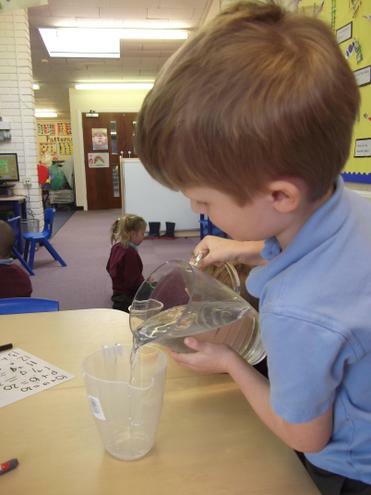 We measured out water to make our orange juice. We drank until our cup was half full and then until it was empty! 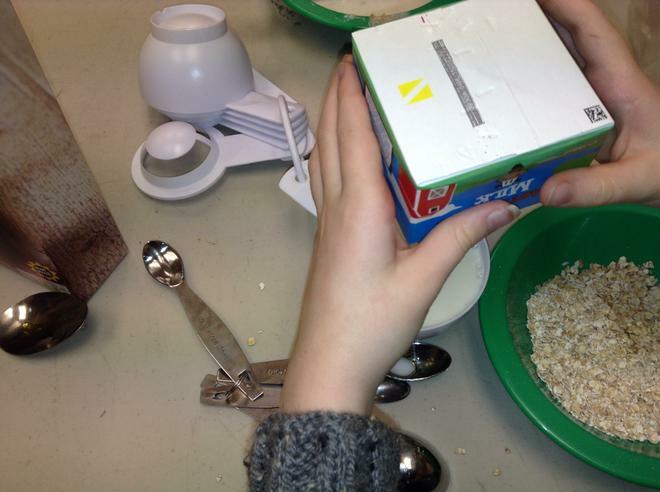 We measured out milk to make the three bears porridge. 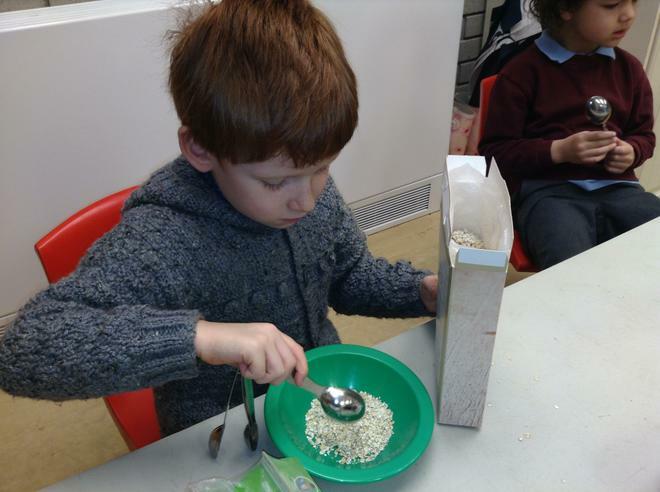 We measured out the porridge. 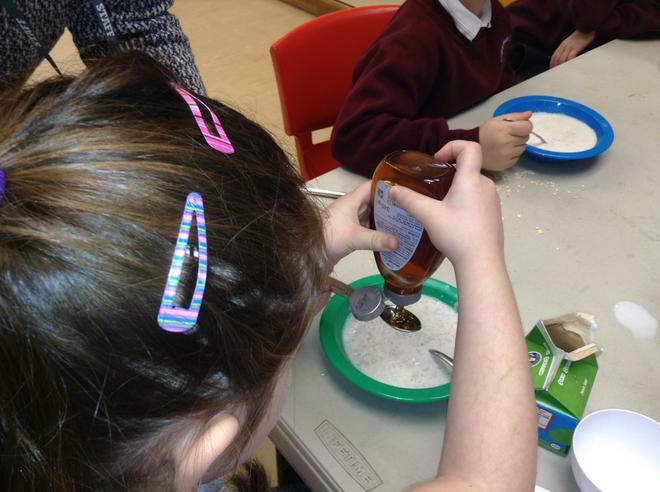 Then we added sticky honey! 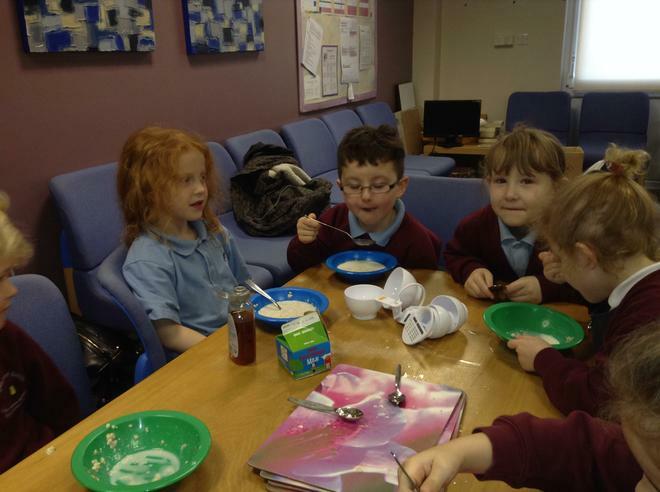 "Who's been eating our porridge?" Asked the three bears. "We have!" 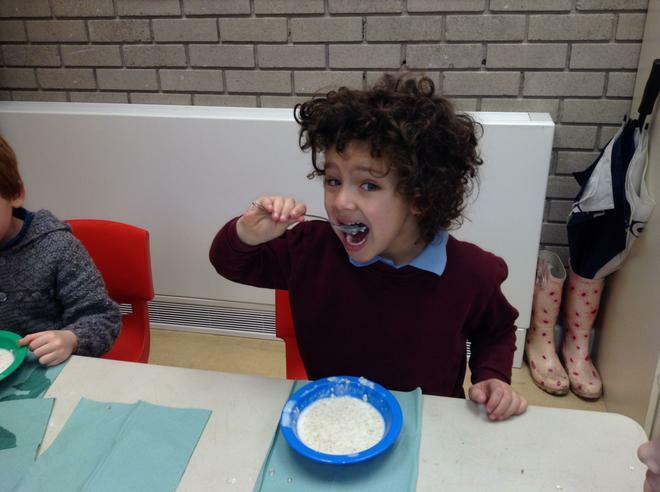 Said Year 1. 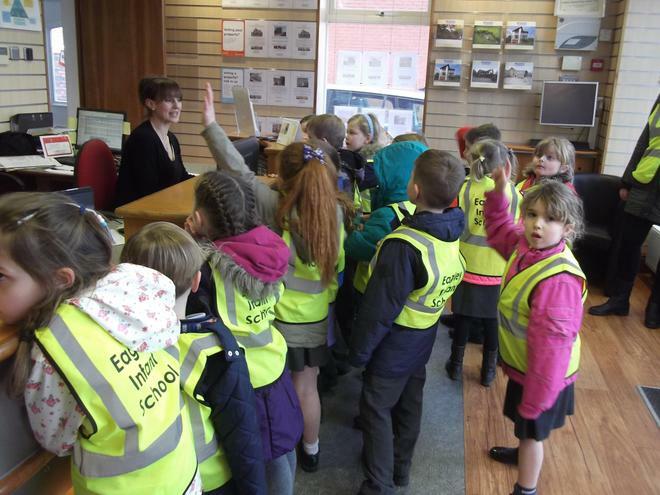 In Topic we have been finding out about homes from the past. 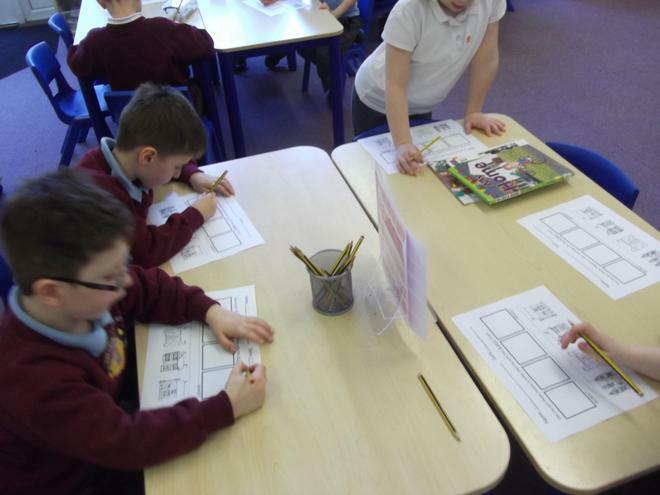 We used the internet to find out about Tudor and Victorian homes. 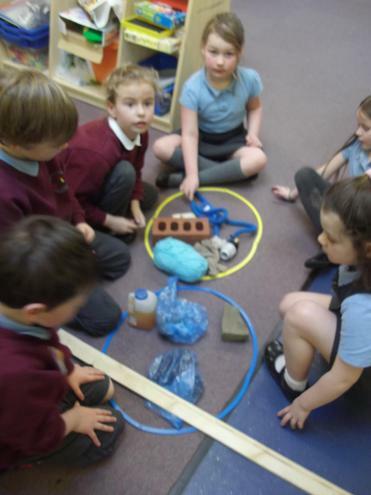 We have been sorting natural and man made materials. 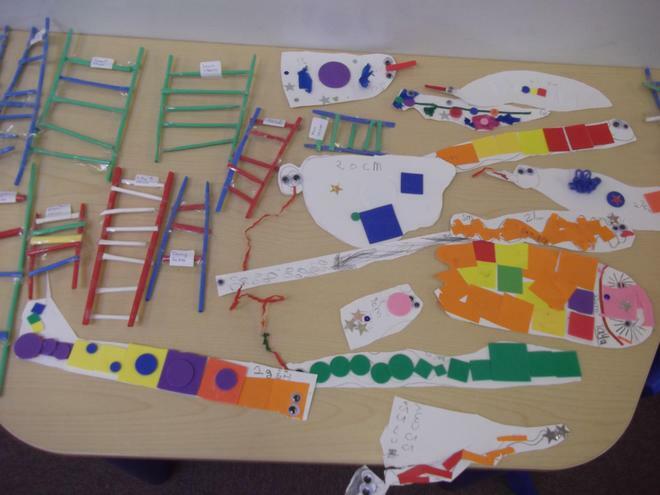 We sorted materials by how their properties. Whether they were hard, soft, rough, shiny, etc. 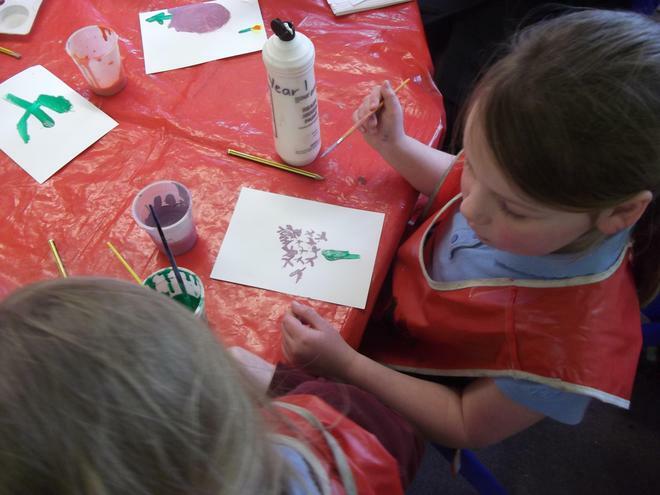 We made a moving picture. 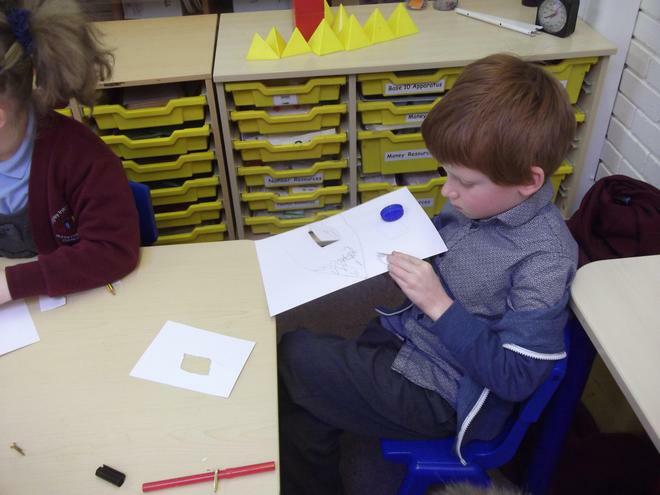 Some of us used a slider and some of us made our picture spin. 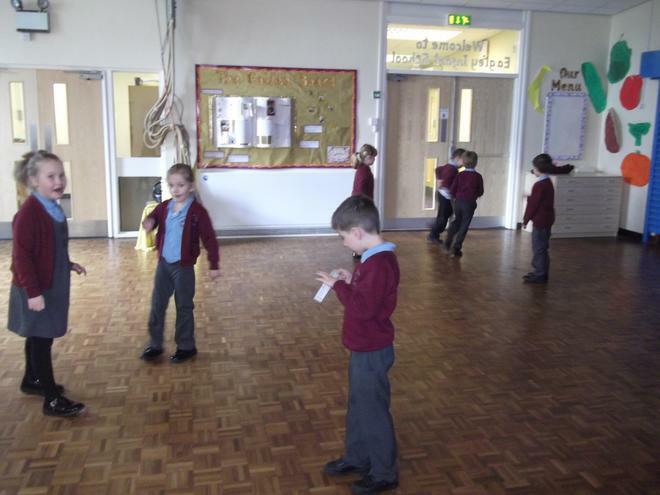 In Literacy our fairy tale has been Snow White. We read different versions of the story. One was called Snow White in New York. 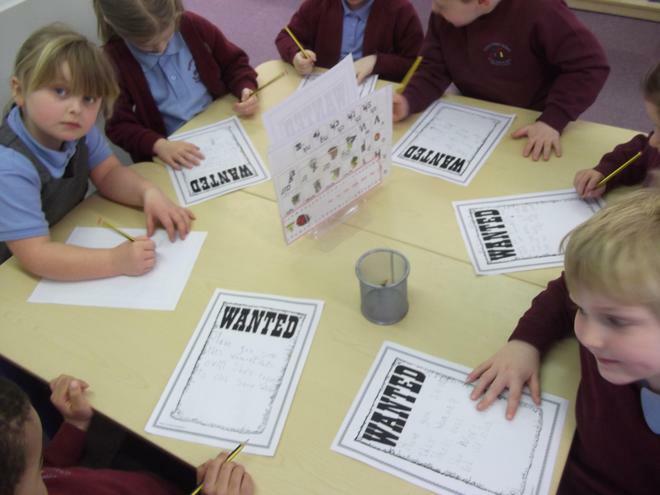 We made a wanted poster for the stepmother. 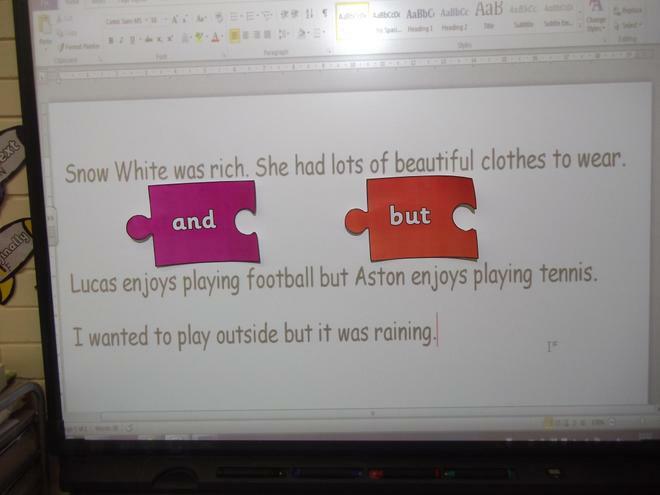 We used the conjunctions 'and' and 'but' to join to sentences together. Can you give us 2 sentences that we could join together? 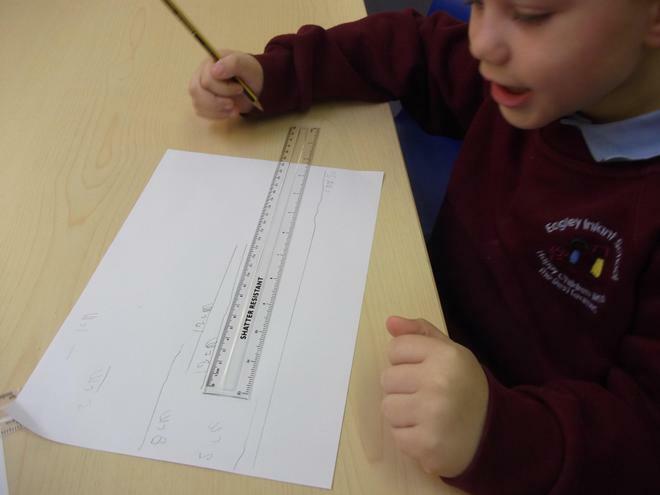 In Numeracy we have been measuring using centimetres. 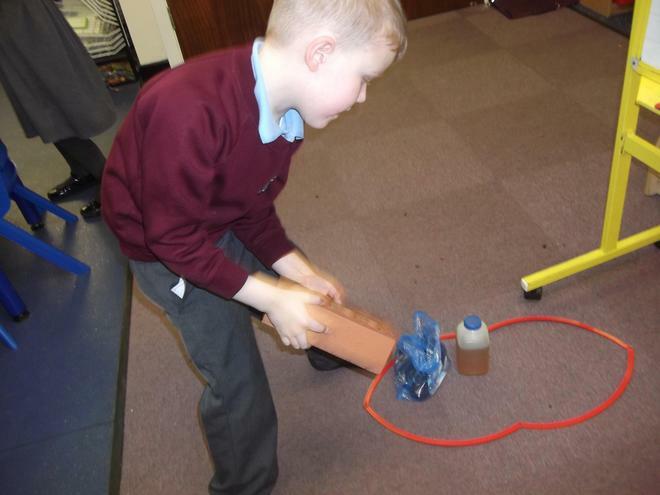 Do you have a tape measure we can measure objects with at home? 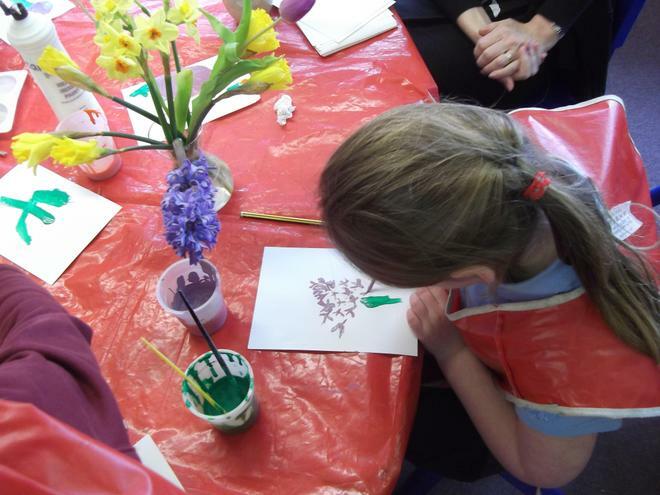 In topic we have been looking closely at Spring flowers and then painting them with lots of detail. 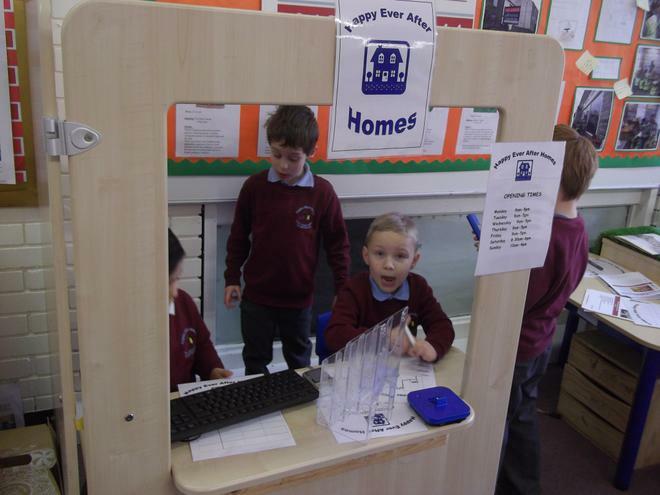 We have been enjoying using our new role play area. 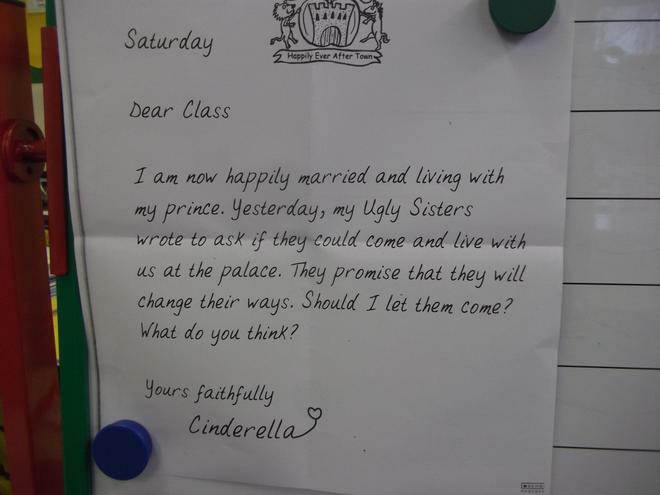 In Literacy we have been listening to different versions of the fairy tale Cinderella. 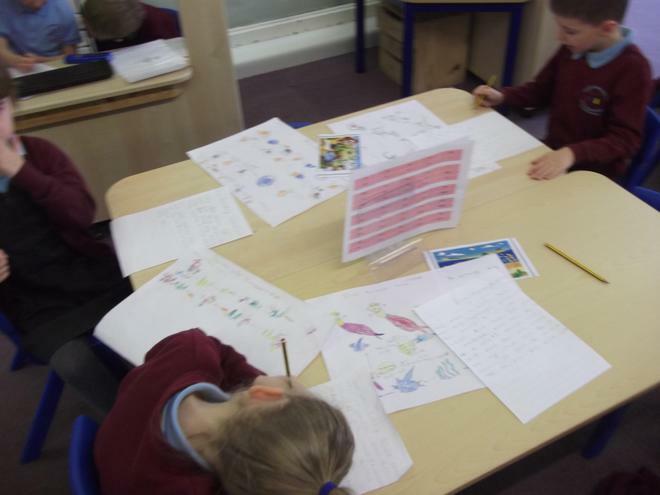 We have been discussing the similarities and differences between the different versions. Which version do you know? 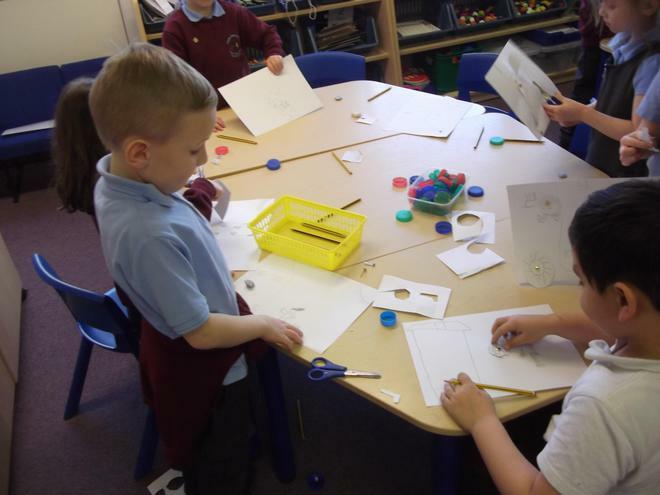 We worked in groups to create scences from Cinderella. 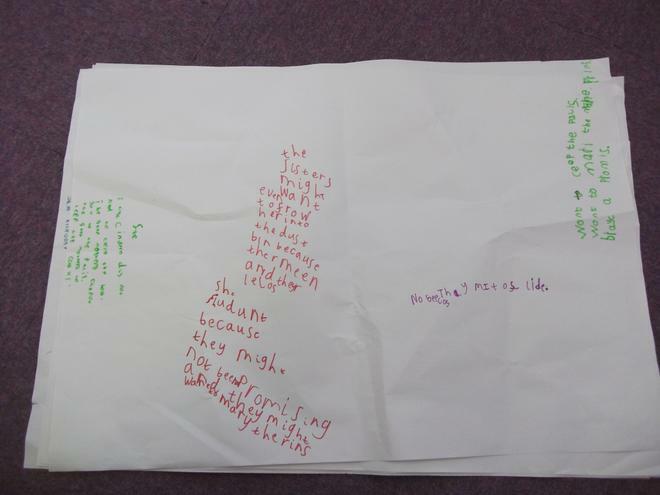 We wrote the famous fairy tale phrases. 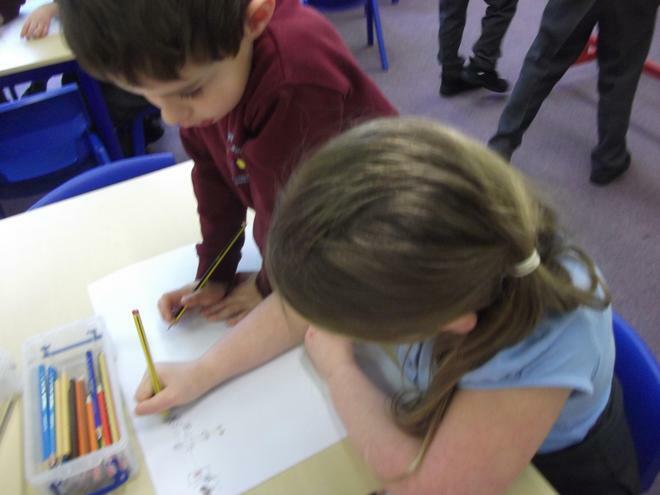 We worked with a partner to create a story map of Cinderella. 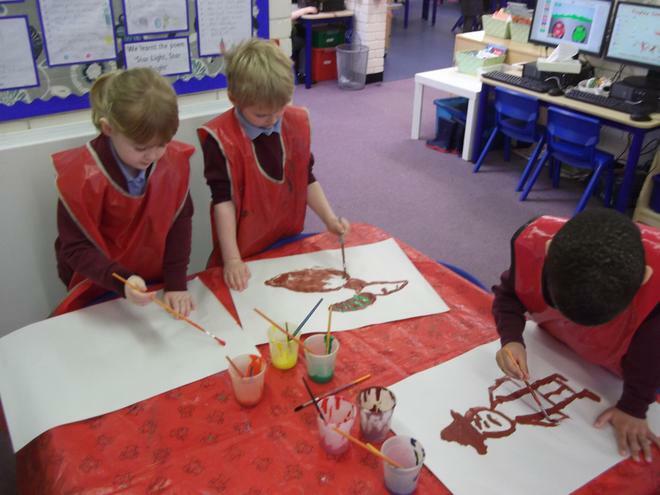 We painted our favourite fairy tale characters. 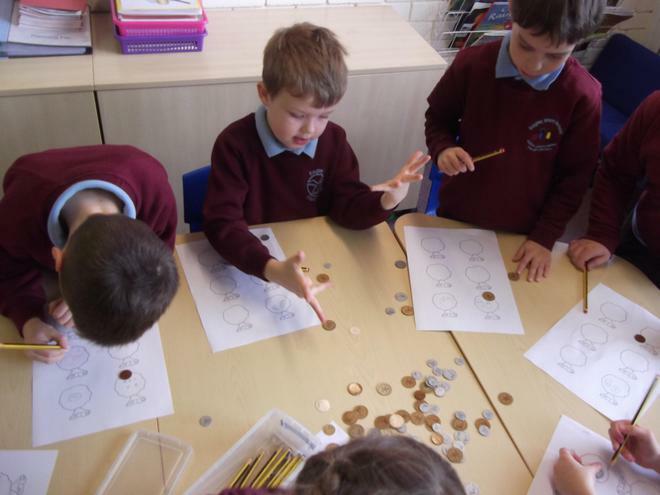 In Numeracy we have been learning about money. 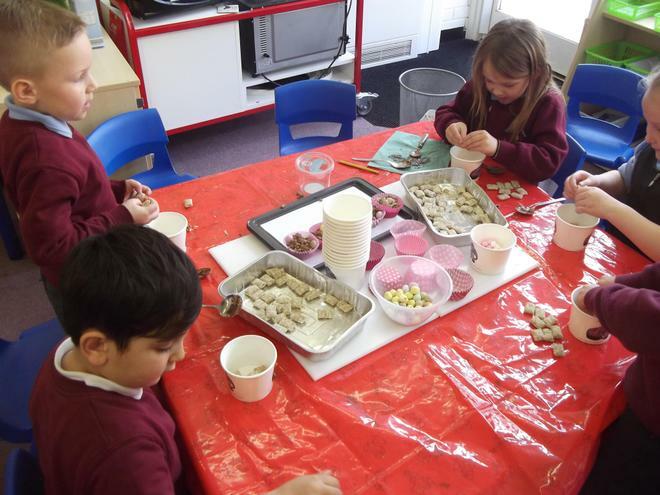 We have found different ways of making 10p, 20p and 50p using coins. 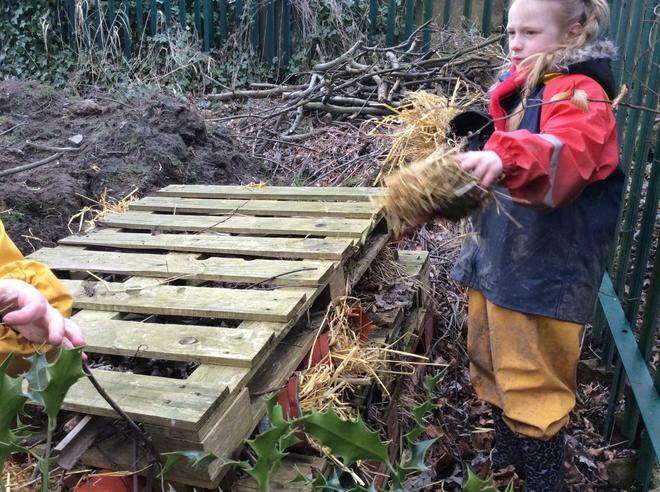 We could practise this at home. 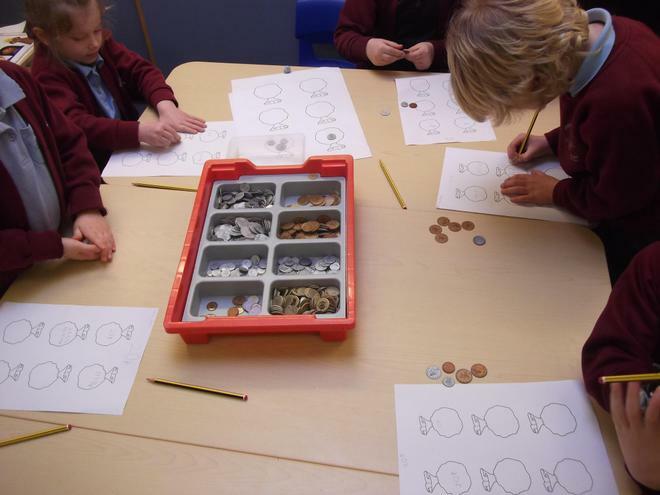 We have been adding the value of the coins to find the total value. 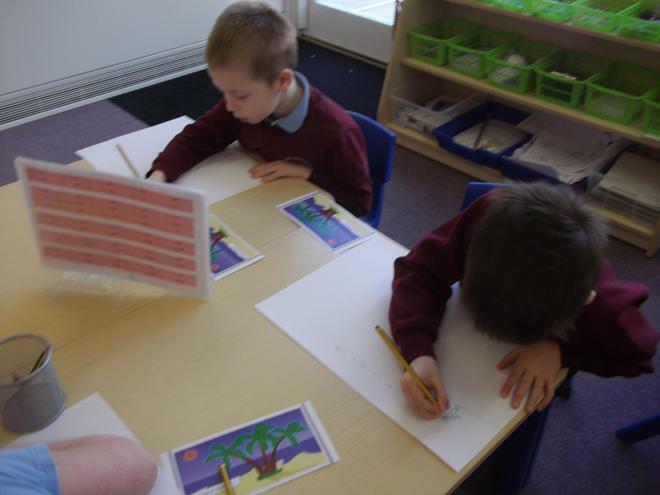 In Topic we have been using the photographs of our home to draw. 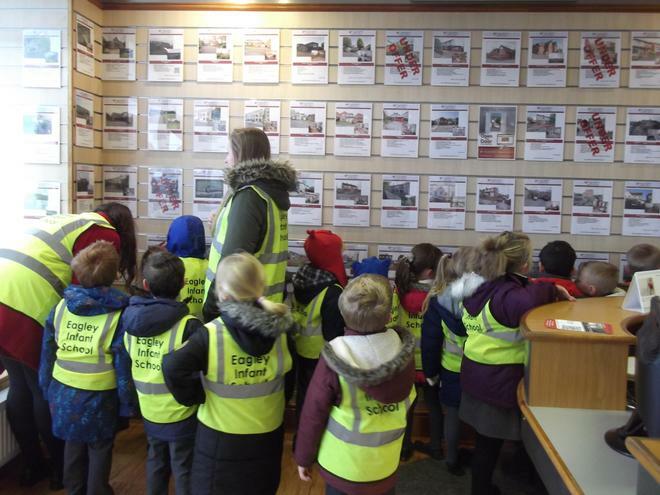 We have been finding out about homes from around the world. Can we research this more at home? 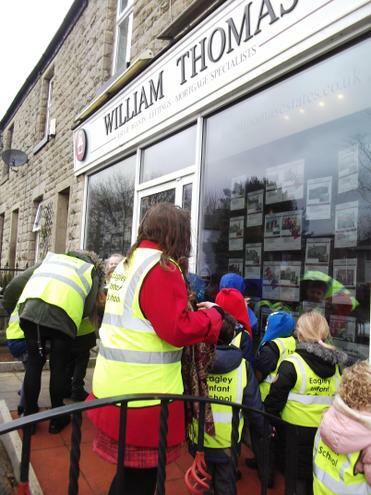 We have been on a walk to William Thomas estate agents to find out what they do as our role play is going to be an Estate Agents.